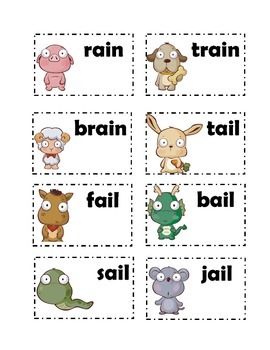 Cute cards to use when teaching long vowel sound ai. Printable and can cut out and mount on poster board. Easily used in group lessons or as a game.